A quick view of the most influential metrics in Pittsboro. 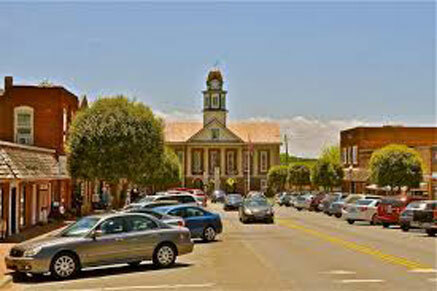 The town of Pittsboro, North Carolina is located in the heart of Chatham County, one of the fastest growing counties in the state. As the county seat, Pittsboro is home to the Chatham County Government Complex, which employs more than 1,300 people. Located at the intersection of US 64 and Hwy 15-501, Pittsboro is 16 miles to Chapel Hill, 25 miles to Research Triangle Park , and 32 miles to Raleigh. The town is just a short drive to recreation areas at Jordan Lake State Park, where more than 1 million people visit annually to enjoy camping, boating, fishing, water sports, and hiking. Pittsboro is adjacent to North Carolina’s newest natural area: 960 acres along the scenic Haw River. Pittsboro is home to diverse small businesses, gourmet and unique restaurants, and pocket parks. Strolling through historic downtown, you can step back in time to visit an old-fashioned soda shop, the Woodwright’s school and tool shop, vintage clothing boutiques, and a variety of locally-owned shops full of art, crafts, and gifts. 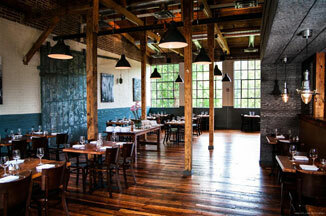 You will find plenty of fresh and unique dining options in Pittsboro, such as the popular Oakleaf restaurant, which serves farm-to-table cuisine at the historic Chatham Mills. If you have a hankering for good old-fashioned barbecue done right, visit Allen & Son Bar-B-Que, and you won’t be disappointed. Virlie’s Grill is a mom-and-pop restaurant offering homestyle cooking in a casual and friendly atmosphere. And for special occasions, you won’t want to miss the Fearrington House Restaurant, located in Fearrington Village, offering fine seasonal dining led by Executive Chef Colin Bedford. From partnerships with local farms, including Duckwood Farms and Heritage Farms, to vegetables and herbs harvested from gardens on property, to dishes that celebrate North Carolina’s four distinct seasons, you won’t want to miss this dining experience! Pittsboro’s mild winters and warm summers give active families and residents access to year-round outdoor recreation and parks. Pittsboro is a short drive from Jordan Lake Park, which is a collective of nine access areas scattered around the shoreline of an undeveloped, 14,000-acre reservoir. More than 1,000 campsites among five of the access areas offer a range of outdoor experiences, from RV hookups to primitive tent camping and group camps. There are seven swim beaches and a number of boating ramps, with some swim areas and ramps reserved for campers. Nearly 14 miles of hiking trails wind across the lake shore, with most of them offering easy, brief hikes perfect for family outings. Spotting bald eagles and osprey is just one of many opportunities to view wildlife, and the lake’s ecology is further explored in the visitor center exhibit hall. Pittsboro is home to a diverse group of artisans and galleries, including ChathamArts Gallery, Jenny Garrett McLaurin, Goldsmith, Galleria Art and Framing, and Goathouse Gallery. 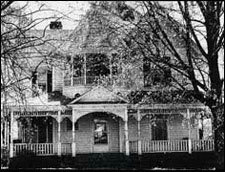 It is home to the Chatham Artists Guild, an organization of artists whose purpose is to maintain artistic excellence among its members. The Chatham Artists Guild’s mission is to raise awareness and appreciation for the visual arts (including the cultural and economic contribution it makes to the community, connect its artists and art patrons, and educate the community, and cultivating new patrons, regarding the arts. As such, it sponsors the Chatham Artists Guild Annual Studio Tour each December, which is one of the oldest tours in the state, in which visitors have the opportunity to tour the studios of 53 outstanding artists. A little-known gem in Pittsboro is Carolina Tiger Rescue, whose mission is to rescue animals in need across the country. The organization rescues animals from private individuals who have realized that wild animals do not make good pets. Each animal that is rescued stays with CTR in a cage-free habitat so it can be happy and healthy for the rest of its life. CTR educates the public through tours, community presentations, and exhibits. For two centuries, Fearrington farm has dotted the landscape between Pittsboro and Chapel Hill, North Carolina. The farm, now a vi brant village consisting of shops, restaurants and an award-winning inn, still features rolling pastures, farm animals (including the signatureblack and white belted cows), the dairy barn, silo, and other farm structures. Several of these original buildings have been re-adapted and now form the heart of the Village Center, featuring boutique shops, restaurants, inn, spa, and special events venues are open to the public. Venues include the Fearrington House Inn and Restaurant, the Spa at Fearrington, McIntyre’s Books, Dovecote Style, The Fearrington Granary Restaurant, The Belted Goat deli, and the Roost beer garden. In 1771, Chatham County was carved out of Orange County and a county courthouse was built just south of what would become Pittsboro. On January 6, 1787, the North Carolina General Assembly authorized nine commissioners to purchase 100 acres, and the Town of Pittsborough was formed as the seat of Chatham County. The town was named for William Pitt the Younger, second son of the Earl of Chatham, who had long defended American rights in the British Parliament. Today, residents of Pittsboro embrace small-town values and a strong sense of community. 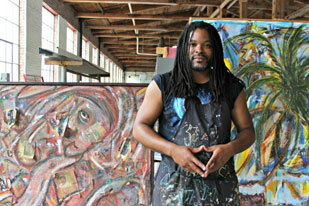 Its 3,764 residents are a diverse group of artists, farmers, merchants and students. The town supports software developers, bio-fuel research and production, antique shops, and art galleries. After years of planning, lawsuits and negotiating with local officials, development activity is ramping up at Chatham Park, with the first phases of residential and commercial development underway. The master plan for the Chatham Park Planned Development District (PDD) was approved in June 2014, December 2014, and November 2015. The Master Plan outlines the vision for Chatham Park: a comprehensive and sustainable, live, work, play community. Additional Elements were submitted in May 2016 to provide more detail on 12 elements of the Master Plan. These elements include tree protection, signage, parking and loading, lighting, development phasing, open space, affordable housing, transit, public facilities, landscaping, storm water and public art. The heart of Chatham Park will be its residents; construction is slated to begin Spring 2017. Each home will be a model of sustainability equipped with the most energy-efficient materials and products available. Both Duke Energy and PSNC have agreed to install smart electric and gas meters in every home, further reducing energy use as well as resident utility bills. Homes in Chatham Park will use 30% less energy than average houses. The Chatham Park Way Bridge will be complete in August 2016. Construction on a roadway to connect the bridge to Business 64 will begin in late 2016 and will be complete in 2017. Chatham County is home to 17 schools: four high schools (three traditional and one alternative), three middle schools, five K-8 schools, and five elementary schools. Based on most recent School Report Card data, 14 of 17 schools met or exceeded growth expectations. Chatham County Schools out-performed North Carolina in both the CCR (Career and College Ready standards, proficiency levels of 4 and 5), and the GLP (Grade Level Proficiency, which includes levels 3, 4, and 5) composites in the areas of: overall % of AMOs met; four-year graduation rate; ACT; Math I; English II; Biology; reading grade 4 proficiency; reading grades 6 and 8 proficiency; math grades 6-8 proficiency; and grades 3-8 overall composite in reading and math. Pittsboro is home to Central Carolina Community College, which offers a core curriculum as well as continuing education in such areas as Sustainable Agriculture and Alternative Building Techniques. Students can earn a degree, diploma, or certificate in more than 130 college-level programs. A 25,000 square foot medical office building is now open and UNC Healthcare is seeing patients on a daily basis. UNC Family Medicine at Pittsboro offers the full spectrum of patient-centered medical care for the entire family, including acute care, preventive care, in-office procedures, prenatal care, and child well and sick care. Through the Chatham Transit Network, all residents of Chatham County can access safe, comprehensive, user-friendly and efficient transportation that meets the needs of the public while preserving and sustaining human, natural and economic resources. If you are thinking about buying or selling a home, give us a call at 919-928-5131 or send us an email to explore your options and to find out when is the best time for you to make a move. View our selection of available properties in the Pittsboro area. Check out the latest demographic information available for Pittsboro. Learn more about schools near Pittsboro complete with ratings and contact information. Browse through the top rated businesses in the most popular categories Pittsboro has to offer.